We demonstrate solution-processed hybrid ambipolar thin-film transistors (TFTs) employing a stack structure composed of indium–gallium–zinc-oxide (IGZO) and single-wall carbon nanotube (SWCNT) as an active channel fabricated at low temperature. 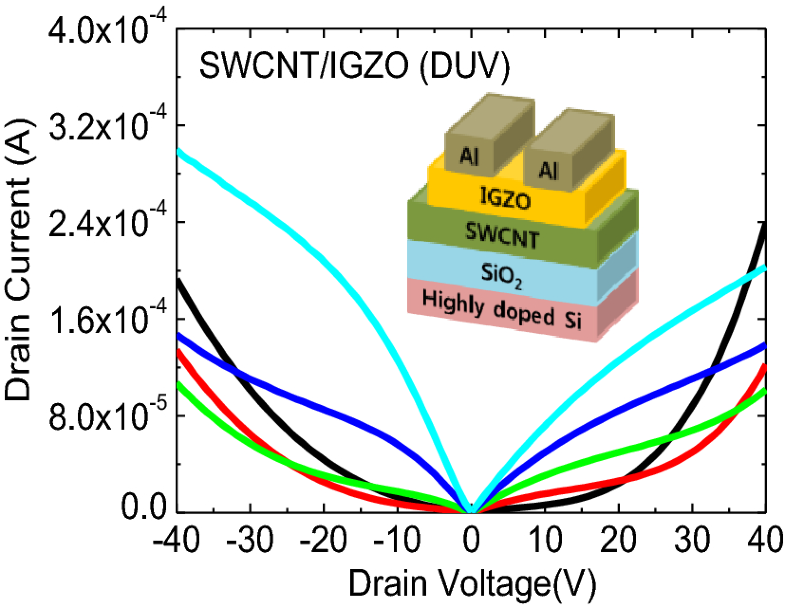 With an optimized deep-ultraviolet (DUV) photo annealing process for sol–gel based IGZO thin film on SWCNT random networks, the ambipolar transport of both electrons and holes with good electrical characteristics was realized. 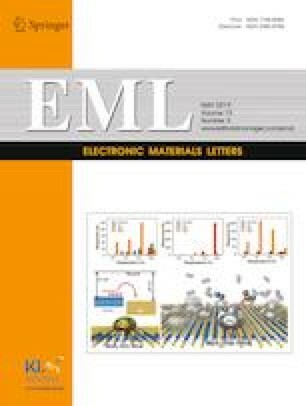 We also investigate the effect of DUV photo annealing on the material characteristics of solution-processed hybrid stack films and on the device performance of solution-processed hybrid ambipolar TFTs compared to those of samples thermally annealed at 500 °C, which is required for solution-processed high-quality IGZO thin films. The Raman spectra show that DUV photo annealing ensures hole transport in SWCNT random networks of a hybrid stack film, where the intensity of the 2D peak to the G peak was not changed compared to that of pristine SWCNT random networks. We believe that these analytical investigations reveal that DUV photo annealing is a promising method by which to realize hybrid ambipolar SWCNT/IGZO TFTs fabricated at low temperature. Jun-Young Jeon and Byoung-Soo Yu have contributed equally for this paper. This work was supported by the National Research Foundation of Korea grant funded by the Korea government (MSIT) (NRF-2017R1A2B2003808).